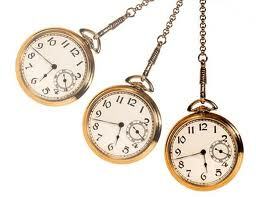 Even the premise is one of those striking ideas that seems so beautiful and right, even obvious, but that you know you would never have thought of yourself: - if, by hypnosis, you can be regressed into a past life, could you be progressed to a future life? My immediate response was: Wish I’d thought of that! But I didn’t. 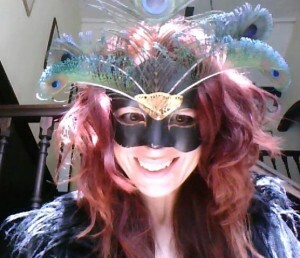 Roz Morris did. She’s frustrated because her pain doesn’t respond to treatment. A close friend, suffering from panic attacks, is in a similar situation – but his problems seem to be solved when he undergoes a past life regression. The unresolved trauma of his previous life has spilled over into his present life, causing his attacks; and only when he faces what happened in his previous existence can his panics be controlled. Carol is so desperate to be free of pain and to play again that, although sceptical, she is drawn to the idea of other lives – and, indeed, to the hypnotist, the elusive, attractive Gene Winter. It’s not a book easily categorised. Should I call it a literary novel? Science Fiction? Romance? You could make a case for including it in any one of those genres though, like all original books, it refuses to sit easily in any one of them. It isn’t about attacking and solving problems. It’s about, I think, the way we cause our own problems, but hide from them, preferring to fall over them and hurt ourselves again and again, rather than see those problems clearly, or – that thing we dread - changing. It’s about resolution, about picking ourselves up, sorting ourselves out, and going on. Not, perhaps, solving the problem – which may be insoluable – but doing that very hard thing, changing, and walking away, leaving old things behind. Not, after all, memories of a future life, but – future life. 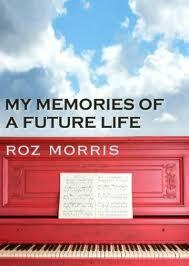 Memories of My Future Life by Roz Morris, is available for download here. 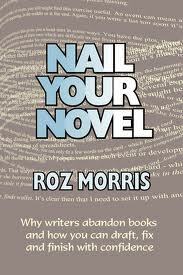 Her book of advice for writers, Nail Your Novel, can be found here. What a wonderful review. This book sounds fascinating. I downloaded this when it came out but have yet to get to it and read it. You've just encouraged me to bump this up the TBR pile. Thanks! I hope you enjoy it as much as I did, Kath! This sounds like LOUD PRAISE to me! What a great review. Haven't read it, but it's on my list. You just moved it up a few steps!